This is a big one, folks. House Majority Leader Rick Miera is not seeking re-election. 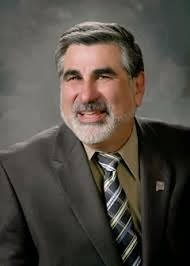 Santa Fe, NM - House Majority Floor Leader Rick Miera has announced he will not seek reelection as the New Mexico State Representative in District 11 (the downtown corridor of Albuquerque) - a position he has held for the last 24 years. Majority Leader Miera says the decision was a difficult one since he has dedicated so much of his life to the legislative process, especially involving the issues of educational equity, juvenile justice and health care access issues. However, he feels the time is right to pass the torch.